Here we are, fifty-five years later. While there have been advancements in civil rights since Martin Luther King Jr’s famous speech in 1963, our country remains embroiled in the bigotry of non-acceptance. Not by all of its people and I sincerely pray not by the majority, but enough that it fractures the relationships and soul of the United States of America. In the last year, it’s felt more like the Divided States and a study of how a country can take one step forward and two steps back. Right Dan. The news is 90% negative/bad news, so I’ve cut back on watching. I choose rather to focus on doing what I can to make this a positive world. You’re a good person – Martin would be proud. I was thinking about him today and wondering if he would be disappointed in our advancements or lack of. 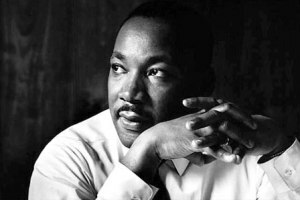 In some ways, MLK would be happy with the advancements we have made, like our 1st African American President. But then he would be saddened by our current state of affairs and the bigotry that has reared its ugly head.